What Happens After a Foreclosure Sale? Homeowners who have gone through a foreclosure often ask me what happens after a foreclosure sale. More specifically, these homeowners often ask if they need to leave their home right away after a foreclosure auction sale. The answer is no. Even after a foreclosure sale, the new owner is required to perform an eviction of the occupants remaining in the foreclosed property. Massachusetts is a non-judicial foreclosure state. This means that a bank does not need to go to court to get permission to foreclose (unlike states like New York and Florida). A Massachusetts foreclosure requires sending a number of required notices, publishing a foreclosure sale notice, and holding a foreclosure auction. If done correctly, the bank (or third-party buyer) becomes the record owner of the property. While ownership of the home changes after a foreclosure sale, possession does not. The new record owner is required to bring an eviction case against the former homeowner(s) residing in the foreclosed home. What happens after a foreclosure sale? The bank (or third-party buyer) must file an eviction against any persons who remain in the property. This eviction, known as a summary process action, is generally filed in a District Court or Housing Court. In these cases, the homeowner has the opportunity to defend against the new owner’s claim to possession by alleging that the foreclosure was not performed correctly. An important point to note for homeowners in such a case: you do not need to leave the home until the court orders you to do so. The new owner must obtain a judgment from the court allowing them possession of the home. Until this is done, the new owner cannot forced you out of the property under any circumstances. What Should You Do After a Foreclosure Sale? If you have gone through a foreclosure of your home, contact a foreclosure defense attorney for a consultation, regardless of your intentions for the home. In other words, even if you plan to leave the home, it is still worth speaking to an attorney. An attorney can help determine if you have a defense against the foreclosure. Even if you plan to leave the home, a foreclosure defense attorney can assist you with resolving any liability you may have against the new owner and possibly get you relocation assistance. Potential clients often ask me for advice on how to avoid foreclosure. Here are a few important tips I recommend. 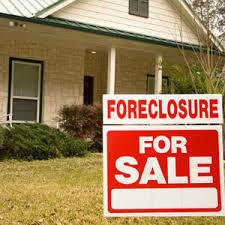 Contrary to free “advice” available on some Internet websites, foreclosure defense is not about getting a free home. While there are ways of delaying or stalling foreclosure, that is only what can be done: delay the inevitable. The only sure means to avoid foreclosure is paying the mortgage loan for the property. To do so, a homeowner needs income. For purposes of obtaining a loan modification, a lender will generally consider any documented source of income. This is an important qualification for showing a lender that you qualify for a modification: you must be able to account for where the money comes from. This advice is usually most relevant to self-employment and rental income. Lenders generally want to see such income deposited in a bank account. Without such deposits, a homeowner faces a difficult time trying to prove they really earned the alleged source of income. An important side note: homeowners facing foreclosure who do not have the required income to obtain a loan modification should still contact an attorney for assistance with their case. An attorney can help a homeowner review their options and decide with them their best course of action. One of the single, most important pieces of advice I can give homeowners to avoid foreclosure is to keep a record of all contact with your lender. If you find yourself in a situation where legal action may be necessary, having a record is a huge help in advancing your case. Even homeowners with the best memories are often unable to remember specific details occurring years ago. Keeping a paper trail of your communications with a mortgage lender can be one of the best things you do to avoid foreclosure. Most importantly, seek the help of a foreclosure defense lawyer sooner than later if you find yourself facing foreclosure. Stopping a foreclosure becomes increasingly difficult as a foreclosure date is scheduled (but still not impossible; homeowners in any stage of the foreclosure process should talk to a attorney if foreclosure defense is needed). The sooner you speak to an attorney, the better luck an attorney will have in helping you resolve the problem. If you need help to avoid foreclosure, contact me for a consultation. The Supreme Judicial Court issued an important ruling last weekend extending the “paragraph 22 defense” to other homeowners facing foreclosure. In Federal National Mortgage Association v. Marroquin, the Court extended the benefit of the prior Pinti v. Emigrant Mortgage decision to those homeowners who similarly challenged a foreclosure based on non-compliance with paragraph 22 of the standard mortgage (a full copy of the decision is included below). This is alot of information to take in at once, so read on for a “non-lawyer” explanation! Paragraph 22 of the standard mortgage is a provision in a typical mortgage agreement that requires a foreclosing entity to provide a default notice to borrowers prior to foreclosure. This notice requires specific disclosures that need to be given to the borrower. In the wake of the recent foreclosure crisis, many of these notices have had errors, and have not included all of the required disclosures. 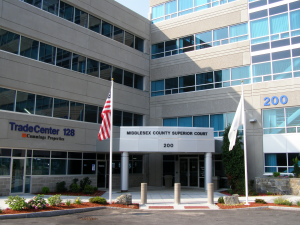 A paragraph 22 defense is a challenge to a foreclosure based on non-compliance with this mortgage requirement. In Pinti v. Emigrant Mortgage, the Supreme Judicial Court determined that the failure to strictly comply with this mortgage requirement made the foreclosure void. Pinti, importantly, required “strict compliance” for this part of the mortgage: a borrower does not need to show any harm from such a defect to challenge the foreclosure. The Court’s decision in Pinti was “prospective”: it would only apply to the homeowners in Pinti and future foreclosure challenges based on non-compliance with paragraph 22. In Aurora Loan Services v. Murphy, the Appeals Court extended the Pinti ruling to other cases on appeal at the time of the Pinti decision. In Federal National Mortgage Association v. Marroquin, the Supreme Judicial Court needed to decide whether a paragraph 22 defense could be raised by a homeowner who had a trial court case pending at the time of Pinti. This would include post-foreclosure eviction cases and Superior and Land Court challenges to foreclosure. In Marroquin, the Supreme Judicial Court extended Pinti to these cases as well. If a homeowner had raised a paragraph 22 defense in one of these cases at the time of Pinti, “strict compliance” would apply. Marroquin will likely apply to only a small range of cases. The Supreme Judicial Court did not suggest that the prospective ruling of Pinti has changed. In other words, a homeowner who did not properly preserve a paragraph 22 defense will not be helped by Marroquin. As this decision comes over 1.5 years after Pinti, there are likely many homeowners who had such viable defenses, but failed to preserve them, on the belief that Pinti’s prospective ruling would not let this defense apply to their case. This is my main complaint with Marroquin and the Supreme Judicial Court’s other decisions on paragraph 22. The Court in Pinti knew that the issue of the paragraph 22 defense would come before the Court again. Why the Court could not have addressed this matter in the first place, making these later decisions unnecessary, is beyond me. Nonetheless, Marroquin fully resolves the scope of this defense for homeowners with a paragraph 22 defect. If you find yourself in need of assistance with foreclosure, contact me for a consultation. Today is Be Kind to Lawyers Day. Yes, they make a celebration for everything these days . . . Joking aside, I feel that most people do appreciate the work of lawyers. Many of my clients, who are faced with complex and challenging legal matters, appreciate the work of attorneys. Nonetheless, it is nice to have a day in my “celebration.” Happy Be Kind to Lawyers Day! A 72 hour notice to quit is a unique type of notice that is generally used for post-foreclosure eviction (“summary process”) cases. Receipt of one of these notices is a sign that an eviction case following a foreclosure sale will begin soon. A notice to quit is required prior to the start of an eviction case. For evictions involving landlord/tenants, where the parties previously entered into a rental agreement, there are specific requirements for the notice to quit required prior to eviction. Terminating a tenancy for non-payment of rent, for example, generally requires a 14 day notice to quit. The sending of a notice to quit for a landlord/tenant eviction is a mandatory part of the process; a court will throw out an eviction if the proper notice is not sent, or the landlord cannot prove that the landlord received it. The same is not true for a post-foreclosure eviction case, where the landlord (often the bank or lender who purchased the home at the foreclosure sale) is attempting to evict the former homeowner. There is no specific requirement as to what type of notice a foreclosing entity needs to provide to a former homeowner. Many cases on this matter suggest that no notice to quit is required for one of these cases (unlike a landlord/tenant eviction). Despite the law suggesting that no such notice to quit is required, out of custom, a 72 hour notice to quit is generally used for post-foreclosure eviction cases. This notice informs the former homeowner that they have 72 hours to leave the property, or an eviction will begin. A notice to quit is generally served by a sheriff or constable. Despite the 72 hour “deadline” in one of these notices, a former homeowner does not need to leave their home after receiving one of these notices. A homeowner only needs to leave the home after a court enters an execution for possession, allowing the owner of the property to physically remove the former homeowner and their possessions from the property. Before doing so, a former homeowner (like a tenant) is entitled to their “day in court” and allowed to present their reasons why they should not be evicted from the home. The 72 notice to quit, simply put, is merely the start of the eviction process, and not the end. A homeowner who receives a 72 hour notice to quit needs to act quickly in defending themselves against the imminent post-foreclosure eviction. If you find yourself in such a case, contact me for a consultation. Eviction cases move quickly, and it is important to have an experienced attorney to help you understand your rights. The Supreme Judicial Court issued a decision this week on postforeclosure notices, and whether the failure to send one invalidates a foreclosure sale. In Turra v. Deutsche Bank, the Court ruled that the failure to send one of these notices does not void a foreclosure (disclosure: this was my appeal!). A full copy of the decision is below. The law in question, G.L. c. 244, § 15A, requires a mortgagee to notify the local municipalities of a foreclosure thirty days after the sale has occurred. As the Court acknowledged in Turra, prior court decisions suggested that strict compliance with this law was required to perform a lawful foreclosure. The question in Turra was whether this was such a requirement, and whether a failure to comply with this step would invalidate a foreclosure. Turra determined this statute isn’t grounds for challenging foreclosures. I don’t read Turra to suggest that a failure to comply with a postforeclosure notice requirement can never be used to challenge a foreclosure. If a homeowner or someone else is actually harmed from a bank’s failure to send such a notice, this violation may potentially be a consumer protection claim. Turra is clear, however, that such a violation, on its own, is not enough to be a foreclosure defense. While Turra wasn’t the outcome I wanted, I’m pleased that the Supreme Judicial Court acknowledged the basis for my argument, and conceded that its prior caselaw suggested this was a plausible defense. The decision mentions two other decisions where courts came out the oppositie way on this question of law (one of these decisions was one of my other cases using this defense). You can’t win ’em all! Turra has an important lesson of wisely choosing a foreclosure defense strategy. The Internet is filled with foreclosure defense hoaxes and myths that do struggling homeowners more harm than good in trying to save their homes. A review of unsuccessful foreclosure defense cases in state and federal court shows dozens of cases lost on the same arguments that courts routinely reject. My strategy in defending homeowners is to make arguments that have a basis in law, and reject arguments that don’t work. I reject the “kitchen sink” approach to foreclosure defense, where one raises every argument they can think of, irrespective of whether the claim has any hope of succeeding. It is far better, in my opinion, to stick with arguments that work, and try new approaches. While not successful in this case, my legal argument on these postforeclosure notices succeeded in several of my other cases, and helped keep a deserving family in their home. If you find yourself facing foreclosure, don’t rely on an Internet myth to defend yourself: contact an experienced attorney for assistance.